The Phil will not compete in this year’s Cork IV debating competition after failing to meet two registration deadlines, prompting fractious online debate. 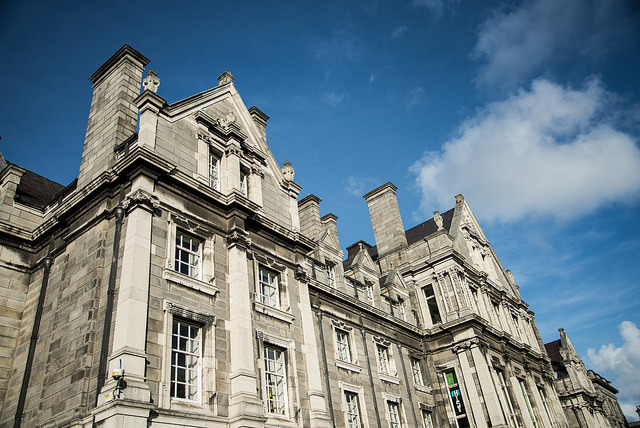 Amid furious online debate between members of student debating societies, the University Philosophical Society (the Phil) will not compete in this year’s Cork Intervarsities (Cork IV) after failing to meet two registration deadlines imposed by the competition’s organisers. The Cork IV is one of the most important intervarsity debating competitions on the Irish circuit. The decision to deny the Phil entry to the competition was announced by the University College Cork (UCC) Philosophical Society on Sunday evening, after the Phil failed to meet both the original drop-out deadline of October 30th and a subsequent extended deadline of 10pm on Sunday night. Ryan Grunwell, the Phil’s Debates Convenor, is responsible for registering the society’s debating teams for tournaments. Grunwell missed the second deadline by 34 seconds, after UCC Philosophical Society warned that the Phil would be cut from the competition if it had not registered in time. A UCC Philosophical Society Facebook post announcing the exclusion of the Phil set in motion a lengthy and heated online debate, with some arguing that the decision was punitive and did more harm than good. Others maintained that the decision taken by the competition’s chief adjudicators was the right one. denied access to the competition because the form was filled in at 22:00:34”, he said. Grunwell said the Phil’s exclusion was “unprecedented” in the Irish debating community. Exceptions, Grunwell said, “are generally made for admin errors on both sides in order to facilitate participation in debating. It is the norm to show good will in instances such as these”. It was a pity, Grunwell said, “that we contribute almost a third of the participants at this competition every year, so this decision is just hurting the quality of the overall competition, as well as creating a bad atmosphere on an already shrinking circuit”. UCC Philosophical Society subsequently offered a compromise to the Phil, whereby the society could register novice teams and send judges of any level to the competition. “This was to facilitate fresher involvement, as we prioritise that very highly at the Cork IV”, the UCC society said in a Facebook post. This offer was not accepted by the Phil. Phil President Sorcha Ryder posted her correspondence with UCC Philosophical Society, in a public Facebook group, Irish Debating, “in the interests of transparency and total sincerity”. “In my heart”, Ryder said, “I know it doesn’t feel right to send first years down all by themselves without my support and the support network of our council to help them settle in and give them the amazing experience we have all had ourselves”. Ryder apologised “for the disrespect my DC has shown your competition and institution with his inadvertance and downright unprofessionalism”. Ryder asked the society to reconsider its decision “for the freshers, for the experienced debaters, who all deserve a chance to shine and who just can’t with the compromise you have offered”. UCC Philosophical Society has maintained its decision not to allow the Phil compete in the competition. A Facebook statement from the society said the “majority of the core team” – Catherine Prasifka, Caoimhe Meaney, Marike Breed and Mark Wilson – “have made the decision that we cannot facilitate their attendance at this competition”. “This decision was not made lightly”, the statement said, “and we hope people can understand that we have done our best to facilitate Phil fresher involvement continuously during this process”. It has not been an easy start to the year for the Phil. In September, after an all-male chamber debate, past and present members of the Phil, speaking to The University Times, said the society needs to make more efforts to encourage gender equality in chamber and competitive debating. The Phil was also recently forced to cancel a debate on feminism in the Middle East, after concerns were raised that the motion was racist. At one of the Phil’s chamber debates last month, entitled “This House Supports Absolute Free Speech”, a speaker was criticised for using the n-word. An earlier version of the headline on this article incorrectly stated that the Phil was banned from competing in the Cork IV. In fact, the Phil missed the registration deadline.